UPDATED: Sat., April 14, 2018, 6:48 p.m.
It’s 2018. The dawn of another year in which the Seattle Mariners promise their fans a postseason appearance. And flying cars. Yes, those too. They seem to have as much chance hovering over the Emerald City as a playoff banner. Over the course of this season, the 17th since the M’s last played a postseason game, we will examine some of the reasons behind the longest drought in major North American sports. Maybe it was Ichiro Suzuki’s absence. At least the past six years. And his Mariners resurrection will end it. But the answer to both those maybes is probably not. There is an even more esoteric reason we want to look at today: the lack of a rival. Yeah, the lack of a rival. A crucial element of the M’s being cruddy for most of their 40-plus years of existence is the lack of a hated, have-to-be-better-than rival. What forces a franchise to succeed? The M’s had motivation back in the early to mid-1990s. They needed to get Washington State and King County to pony up for a new stadium. 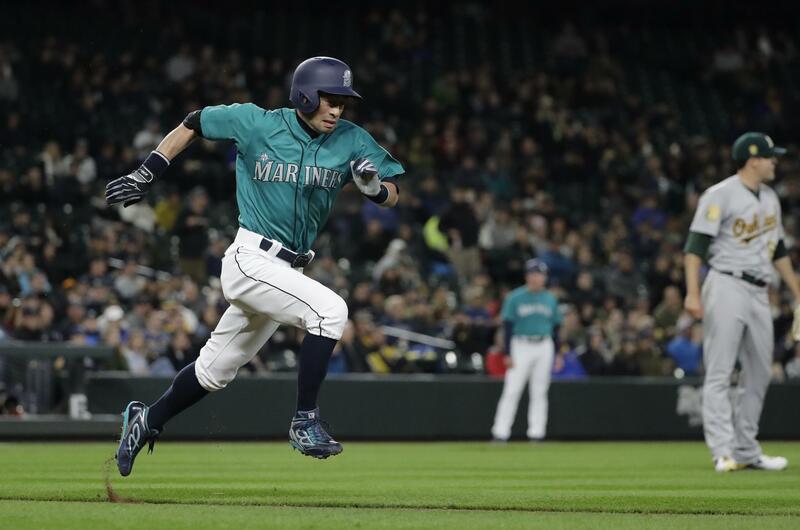 A down-on-its-luck, middle-of-the-pack baseball team might be a perfect fit for Tampa, Florida, but if Seattle wanted a new lease on its professional baseball life, the Mariners were going to have to generate some excitement. It was a powerful motivator, and powerful results followed. From 1995, the year of Edgar’s double and Griffey’s smile, to 2003, the Mariners had seven winning seasons. They made the playoffs four times. They won 116 games one time. And the voters approved a new, state-of-the-times stadium, which we will call Safeco one last season. Since then, with the motivation gone, the fans sated and the politicians busy in other areas, the M’s have reverted to the mediocrity that characterized their first 18 seasons. Before 1995, the Mariners played better than .500 twice. Since 2003, they have done it four times. Only in the will-they-leave years did management seem to focus on winning above all else, above money, above the past, above excuses. You know, the core of the franchise these days. So how do the M’s get the mojo back in Sodo? You think the Red Sox would have won a trio of World Series titles without their dramatic down-3-0-in-the-2004-series comeback over the Yankees? It was the Yankees, for goodness sakes. Their hated rival, dating back to “No, No, Nanette” and Babe Ruth. Beating the Yankees became the Red Sox bête noire, their raison d’être and all those other phrases we learned in high school French. You think any two teams have better brawls than these two? The Cubs have the same thing with the Cardinals, minus the 27 titles, of course. And then there are the Giants and the Dodgers. They hated each other in New York. They hate each other in California. No more than any other in the standings, in reality, but in emotion, sure. And in motivation. If the Giants win three World Series titles in five years, Dodgers fans go nuts. And management better do something. Like spend $300 million or something. The Mariners don’t have that. Never really have had that. But they could. There was talk last fall and winter of baseball expanding again. And that Portland, 172 miles away as the baseball fan drives, is under consideration. The M’s should throw a fit. CEO John Stanton should call it “a challenge” to have another team in Portland. Talk about the M’s “home territory” and all that. Sound a bit whiny. Make the folks in Portland think the Mariners will fight expansion there tooth and nail. Then the organization should support expansion in the Rose City behind the scenes. They won’t, of course, but they should. A public fight against expansion would build animosity in Portland. Hatred maybe. And lay the groundwork for a rivalry, one that would dwarf the Sonics/Blazers one from back in the day. Portland’s success would force Stanton and his management group to invest in success as well. Heck, if you are fighting over fans, Portland’s existence would force a little of that anyway. Winners draw, losers have nights with 9,592 people shivering in the stands. Oh, the fun the games would be. Think of Portland manager Ken Griffey Jr. telling his pitcher to throw up and in on 52-year-old Ichiro. Think that wouldn’t start a brawl? And light a fire that might even burn into the postseason. Published: April 14, 2018, 5:57 p.m. Updated: April 14, 2018, 6:48 p.m.